A new AVR(Automatic Voltage Regulator)delivers non-fluctuating power. Powerful KM186FAGET diesel engine. Optional electric starter. Low oil pressure alert system shuts down the engine automatically. *A new AVR(Automatic Voltage Regulator)delivers non-fluctuating power. *Low oil pressure alert system shuts down the engine automatically. 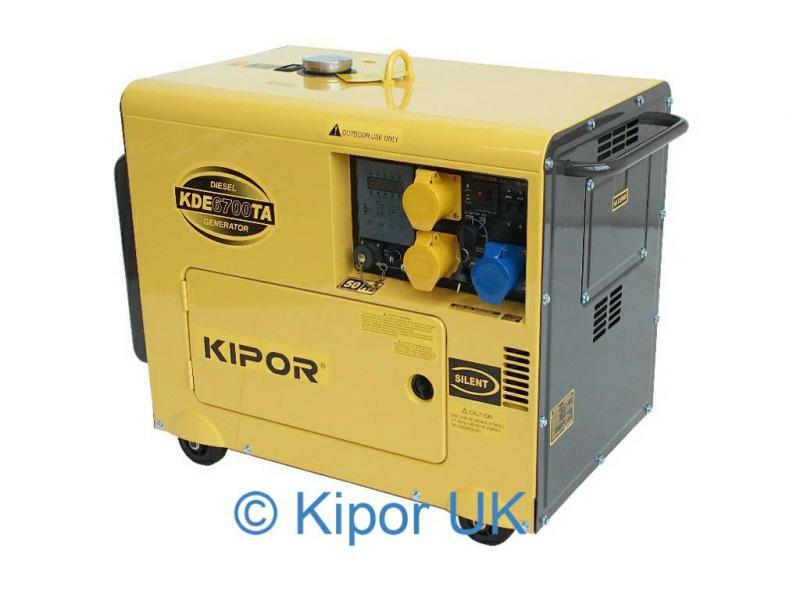 All generator sets are equipped with KIPOR four-stroke engines. exhaust noise and engine sounds which are contained by a double-wall structure and absorbed by a liner. working data of the generator set such as its output voltage and current etc. Besides, the running trouble of the generator will also be displayed on the panel. restarted only if the oil is refilled. tion against the overload of the whole set, thus avoid damage to the set. of the utility power become abnormal, ATS will give commands to start the genset automatically.